The biggest mistake you're likely to make interviewing customers has nothing to do with how you interview — it has to do with who you interview. They interview the wrong customers. You have a really difficult time getting the interviews. The problems you hear during your interviews are all over the map and often have nothing to do with the problem you want to solve. Your interviews don't leave you with clear next steps. So how do you know if you’re interviewing the wrong customers? 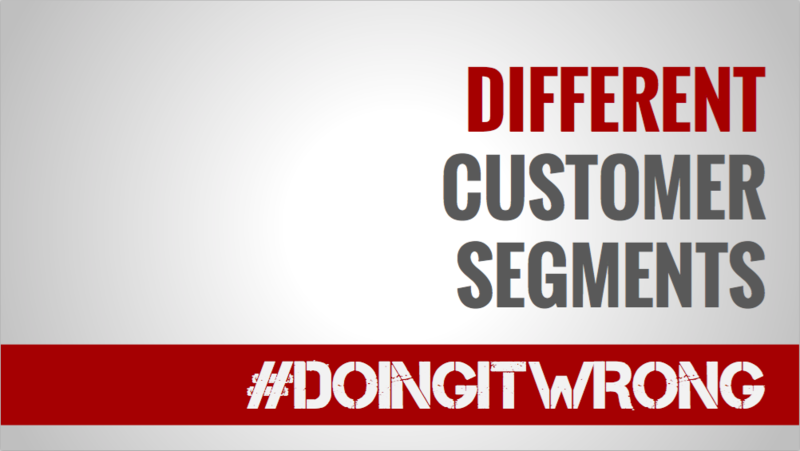 If you interview customers across different customer segments, you are interviewing the wrong customers. Let’s imagine we’re building a “Pandora for Exercise" app that will deliver a customized exercise routine everyday to solve the “exercise is boring" problem. So which ones should you interview? If you're tempted to interview more than one of these segments, you're probably interviewing the wrong customers. We don't interview to validate a problem exists. You know exercise is boring, I know exercise is boring, there’s no reason to validate that some people think exercise is boring. What we need to validate is that exercise is so boring, that it’s worth building a company to make it less boring. How do we know if a problem is big enough that it’s worth starting a company to solve it? Step #1: Validate there are Early Adopters for that company. We know your successful company will start with your Early Adopters, move on to your Early Majority, then your Late Majority and eventually your Laggards. 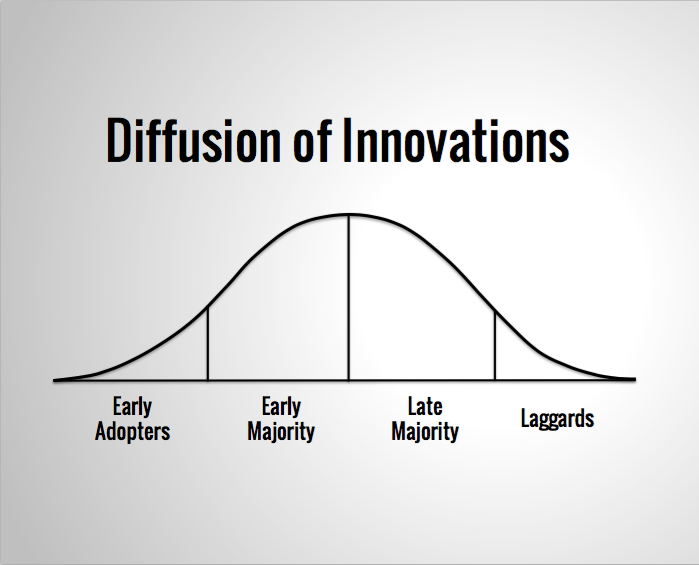 Notice how there's no way to get your Early Majority, without your Early Adopters. Which begs the question…who are your Early Adopters? Early Adopters are customers who are actively seeking a solution to the problem you want to solve. In other words, your company will have Early Adopters if, and only if, there are people who are already searching for a solution to the problem your company wants to solve. We want to interview Early Adopters. Early Adopters are people already trying to solve the problem our company wants to solve. Therefore, we want to interview customers who are already trying to solve the “exercise is boring” problem! So, which of our four segments is already trying to make exercise more entertaining? People who go running at the gym? No. These people are doing the most boring form of exercise there is. They clearly aren’t taking steps to make exercise more exciting, so they aren't our Early Adopters. New moms who want to lose the baby weight? Just because someone wants to lose weight doesn’t mean they are trying to make exercise more entertaining; these aren't our Early Adopters either. Overweight people who are recently activated to try a lose weight? Again, unless they’re taking some action that indicates they’re trying to solve the “exercise is boring” problem, we don’t want to interview them. People taking classes like pole dancing? This is exactly who we’re looking for! It’s safe to assume (although we still need to validate via interviews) that people are learning pole dancing because it’s more fun than traditional exercise. In particular, people who are brand new to pole dancing have a high likelihood of being people who are “actively searching for way to make exercise more entertaining” – and that’s exactly who we’re looking for. Once you’ve identified your early adopters, you can interview them to validate they are in fact trying to solve the problem you want to offer a solution for. Your Early Adopters are people who are actively trying to solve the problem you want to solve. Think about the problem your company solves for your customers. Brainstorm all the people who are actively trying to solve that problem right now. Start interviewing the ones who are most intensely searching for a solution. Once you find the people who want your help solving a problem, you'll find the path to Product-Market Fit. 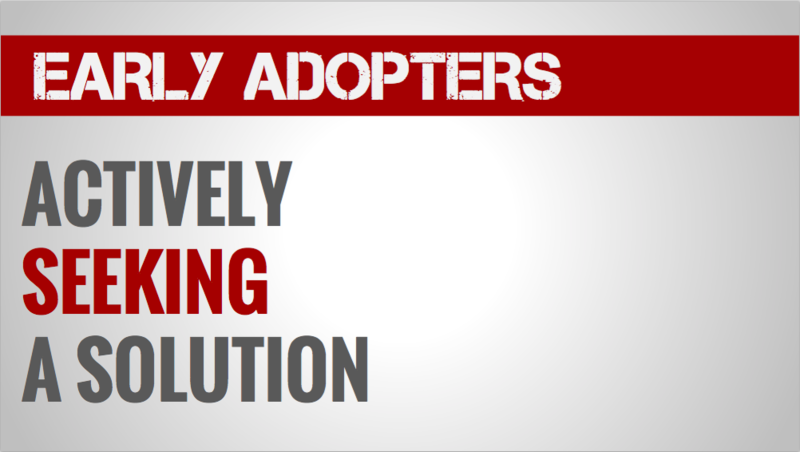 Do you want Help Finding your Early Adopters? 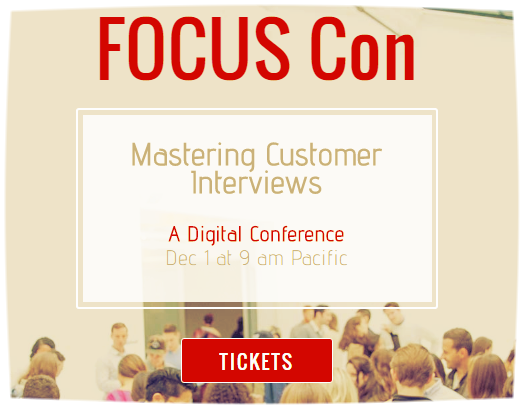 The FOCUS Framework has several exercises that will help you find your Early Adopters, and at the upcoming FOCUS Con, we’re going to take those exercises one step further. I want to make sure you're interviewing the right customers, and help you find your Early Adopters.